Have you ever had an opportunity to introduce yourself to a potential client (maybe the big one that you’ve been waiting for years to land) — and blown it? I’ve talked previously about the importance of having a value proposition that resonates with your customer segments. But before you even have the chance to explain all the value that you could offer this potential client in your new relationship, you must position yourself to have a meaningful conversation with him. Your positioning statement (the modern version of the old elevator speech) is essential. Without one, you may never get to the point of being able to show your value. Poor positioning statements are filled with jargon like “I’m a fiduciary” (What’s that? Sounds boring. I’ve got to go now.) or contain irrelevant information like “I have a Series 7 and Series 63”. (Who cares? Can you help me figure out how much I need to retire?). Poor positioning statements are dangerous – they can kill the start of almost any conversation. So, what’s the solution? Firstly, understand that your positioning statement and value proposition are very different. The positioning statement has only one purpose — to open up a conversation with someone you’ve just met who at some point likely says ‘So, what do you do?’ How you answer that question will determine whether he will permit you to continue. You’ve only got about 8 seconds to get his interest (i.e., the attention span of the average adult) and you should probably know that there is a woman in a slinky red dress at the bar that he can see behind you over your shoulder – so you may only have about 4 seconds. The best way I’ve found to create an effective positioning statement is by combining these three building blocks. If done correctly, you will accomplish your goal of opening a conversation with someone. (After that, it’s up to you where you want to take it.) To start . .
1. Provide an example of a problem that most of your clients encounter. You can do this (after the ‘So, what do you do?) by starting with “You know how . . . “ and then use an example of a problem that you can solve. For example, ‘you know how people have trouble saving money for retirement’ or ‘you know how people can’t figure out how much they’ll need to send their kids to college’. More common and broader problems can be used when you don’t know much about who you’re talking to, but if you’re at a cocktail party with a roomful of executives from Big Local Company, Inc. then improvise (you well-rehearsed jazzman, you) by saying ‘you know how executives with stock option plans can’t decide when they should exercise their options’. (As the stock option-rich executive shakes his head and says ‘Yes, I certainly do’.) And, then . .
2. Explain how you solve that problem. You can do this by starting with ‘Well, what I do is . . . ‘ and then tell him exactly what you do to help someone with that problem. So, let’s carry through our last example — ‘You know how executives with stock option plans can’t decide when they should exercise their options?’ “Why, yes, I certainly do because I have that problem.” ‘Well, what I do is create customized models for my clients that illustrate all of the possible scenarios to give us the best information to make a decision on when to execute those options.’ “Wow. That’s exactly what I need. Are you accepting new clients?” Isn’t that a much better positioning statement? It got you into a meaningful conversation (and he also lost track of the slinky red dress). But you can’t stop there. Next . .
I’ve found that using these three building blocks can be the most effective way to create a positioning statement that will open conversations. Here, let’s see if it works. You know how financial advisers often have trouble introducing themselves to new potential clients? Well, what I do is provide them with the building blocks to build an effective positioning statement. Because when I do, they’re able to gain many new clients and build a more successful practice by simply knowing how to effectively answer the question ‘So, what do you do? What Gets Referrals? It’s Not Always Obvious. I love this article by Katherine Vessenes of Vestment Advisors titled “What Gets Referrals? 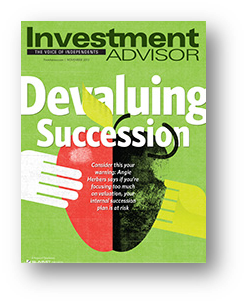 Exceptional Service” recently published at ThinkAdvisor. The article is full of excellent ideas that her firm has implemented to gain more referrals. But, what I really liked is that right up front she says “Our system of getting referrals from our existing clients is counter-intuitive. We don’t ask for referrals at all. We just provide awesome service—it has worked great for us.” Katherine mentions that her firm does things for her clients that “are obvious to the client and things that are not so obvious”. Although she divided them up a bit differently (‘obvious vs. ‘not so obvious’) than I did in my recent post (You Can Get Referrals. Just Don’t Ask for Them. ), I think you’ll agree that it’s important to help clients understand what it is that you do for them (exactly), how and why you do it better than anyone else, and how it is helping them to reach their goals. This should be obvious. Although sometimes it’s obvious to us, but not as obvious to our clients – which is why it may take some extra effort. I’d suggest looking at each of her ideas and consider what she did that helped the client understand the benefits of working with her and her firm, and consider when she also did something that the client felt was remarkable. Then, decide which of her suggestions you can put into place in your own practice. As always, share your thoughts in the comments. You Can Get Referrals. Just Don’t Ask for Them. In my previous blog post (Referrals? Don’t Bother Asking. ), I suggested that most clients don’t feel the need to provide you with referrals because referrals are social currency, and your client has already compensated you (with fees, commissions, or both) for the work you did for him. Unless he feels the need to increase his social status in your eyes, he has little incentive to provide you with referrals. And, it’s likely that any referral you would get (as a result of asking) may not be ready to work with you right now. Have you ever called a referral only to find that he isn’t actually ready to solve a problem that he may have (or may not even have a pressing problem at all)? Who needs referrals who aren’t ready to do business? In that post, I recommended that you must do two things to get referrals. First, make certain that your client can easily talk about what you do and how you’ve helped him, so that when a situation does present itself, you’ll come to the top of the list as a solution. And, also give him something so remarkable to talk about that he will spontaneously combust if he doesn’t tell everyone what you did for him (so that he creates the situation himself, rather than waiting for it to happen). 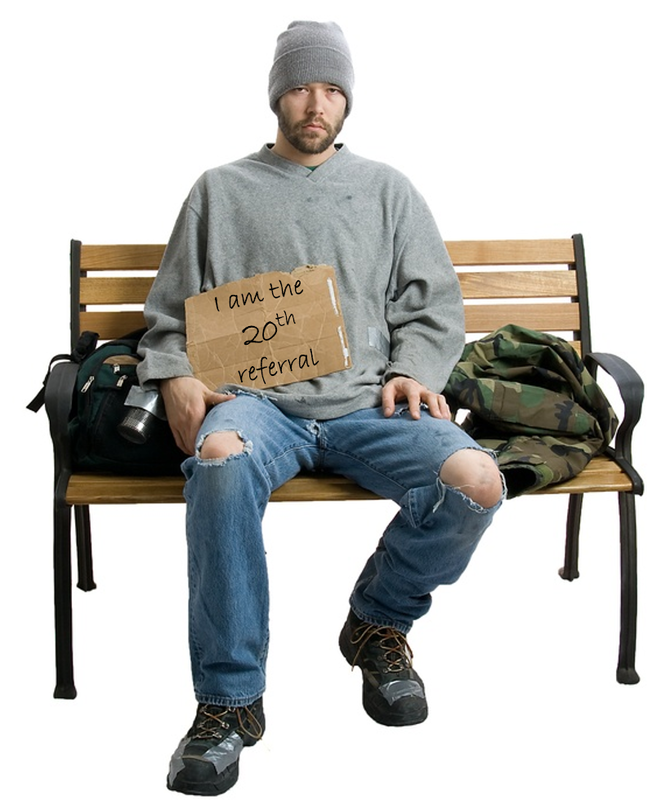 Before we continue, I’m also going to tell you that asking for referrals creates a negative experience for the client. No matter how much goodwill you created with the work you’ve done to help him, you just lost some of that goodwill by putting pressure on the client to provide you with a name of a friend, relative, or associate (out of the blue) before the end of your meeting. What you’ve done is made a withdrawal from your client’s emotional bank account. Do that every time you meet with him and you may end up with a negative balance in the account. Open every review meeting with a list of specific issues that the client has asked you to help him solve. And close every review meeting by summarizing those issues, explain exactly how you’re helping him to solve each one, and provide him with the current status. These issues (i.e., goals) should be SMART – Specific, Measurable, Attainable, Relevant, and Time-bound. (Read more about SMART goals here.) The less ‘SMART’ they are, the less likely that he will be able to talk about them when provided the opportunity. If you’re only helping him with ‘financial planning’, he won’t know how to explain what you’ve done for him to someone that he meets. But, if he knows how much he’s going to need to send his kid to college and that he’s 50% there (and his son is currently in 3rd grade) — that’s something he can explain (by the way, that’s also pretty remarkable as well). Your client will be overjoyed to talk about you without even being asked if he has something interesting, surprising, or unusual to say about you or something you did for him – something ‘remarkable’. You had your assistant send him a birthday card – no, not remarkable in the least. Every adviser does this (we learn it on the first day of adviser camp). Called him on his birthday. Better, but no. Took him to lunch. Getting warmer. Sent him a sleeve of his favorite golf balls. Better still (at least you knew which ones to send). Sent him an autographed note from his favorite golfer. Now we’re talking. But what if you were able to conference in his favorite pro golfer on the phone with you and him? No way! “I’ve gotta tell you what my financial adviser did on my birthday three years ago. You won’t believe what a great guy he is.” Remarkable? Yes, jackpot (He’s actually still talking about it three years later)! Was it easy to do? Probably not.That’s likely what made it remarkable. By the way, you don’t need a special occasion for this (like his birthday). Something can be even more remarkable when it’s done for seemingly no reason. “One day my wife and I hit a sale at the outdoor gear retailer REI. During the trip she found a coat that she loved and bought it. A few weeks later, we went to an outdoor event and she took the opportunity to wear her new coat. As we went out the door she reached into the pocket and found a little slip of paper. She pulled the slip out fully expecting something along the lines of “Inspected by #48.” Instead, the note read “You are a goddess!” That simple, unexpected message made her day. Of course, we both wondered, who made this coat? I checked the manufacturer’s Web site and discovered a very cool little garment company called Isis (www.isisfor women.com), located in Burlington, Vermont. So, how do you help your client understand how you’re helping him, so that he can easily explain why someone should talk to you about a similar problem? What have you done that was so remarkable that your client wants to tell anyone who would listen? Share your thoughts with us in the comments.